In today's world, we are constantly bombarded with digital devices and computer screens. We use them at work, we use them at home and we see them in almost every store and restaurant—everywhere we look there are digital devices! The brightness of these computer monitors can cause our eyes to become strained. 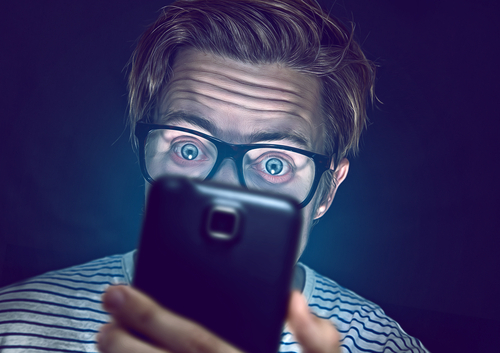 Studies also show that while looking at digital devices we blink a lot less than usual. If possible we should try to keep screens about an arm’s length away from our eyes to reduce the strain. We typically blink 15 to 20 times a minute, but when we are using digital screens we blink about half as much. Blinking plays an important role in refreshing the surface of our eyes. When we blink, tears are spread over our cornea and like a windshield wiper it wipes away dust and other free radicals. If like many others, you work with computers on a daily basis then probably regularly deal with symptoms of digital eye strain and dry eye. One technique you can utilize to reduce these symptoms is the 20/20/20 rule—this rule states that every 20 minutes you should look away from your computer at something 20 feet away for 20 seconds. This will allow your eyes to blink more naturally and give them an opportunity to reset. Yes, yes, yes... We have all heard that we need to eat our carrots to maintain good vision, but there are a lot of other good food choices out there that have benefits for your eye health. Green vegetables are actually some of the best options for your eye health because they are jammed with lutein and zeaxanthin. These two nutrients are said to reduce the effects of excessive exposure to digital screens and other sources of glare.